Zhanina Boyadzhieva, Associate AIA, and Juliet Chun, AIA, are based out of Leers Weinzapfel Associates in Boston, and have recently been awarded the 2019 Beverly Willis Architecture Foundation’s Tribune Award. Together, in 2017 they co-founded Girl UNinterrupted, a national research initiative, which aims to bridge the gap between young female designers (and designers in general) and leaders in the architecture profession. Their findings have been published in ARCHITECT Magazine, Architectural Record, ArchNewsNow, MetroStudy, and shared at conferences including AIA 2018, SCUP 2018, ULI Women Leadership conference, and the Boston Society of Architects. They have also presented at schools including Harvard GSD, MIT, Northeastern University, and the Boston Architectural College. Here are their impressions from their recent participation in 2018’s WID+C BD+C conference. Hunter Douglas Architectural is a proud supporter of Girl UNinterrupted. 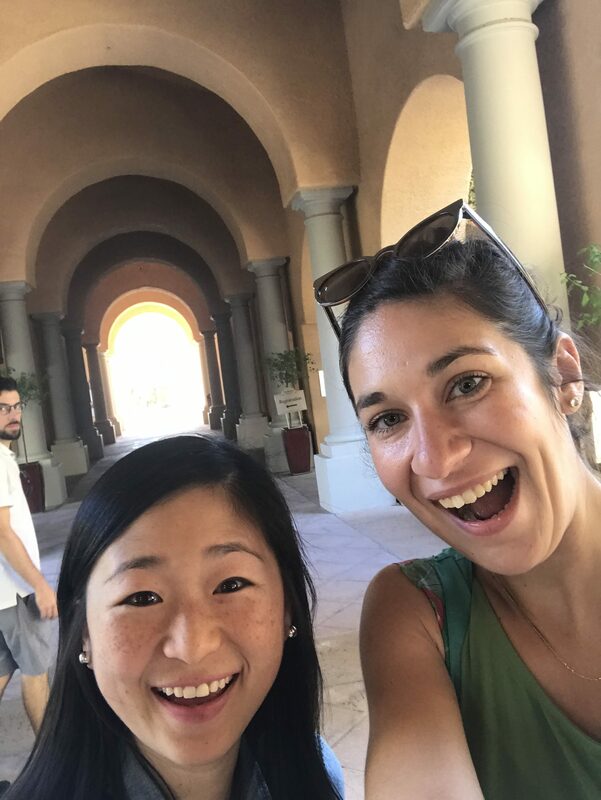 Zhanina Boyadzhieva, Associate AIA, and Juliet Chun, AIA, work at Leers Weinzapfel Associates. Together, they co-founded Girl UNinterrupted, a national research initiative. Over the past three years, BD+C Magazine has organized the “Women in Design + Construction Building Together,” or WID+C conference, which presents a platform to address the unique issues women encounter in the AEC industry. 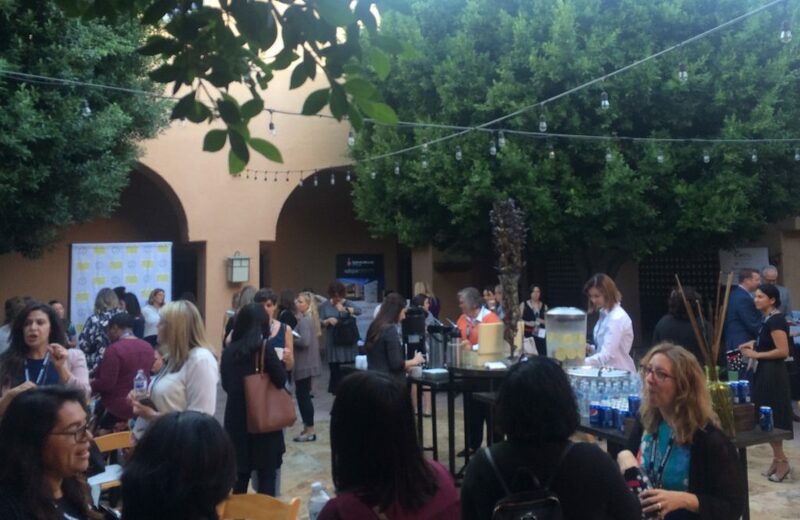 This year’s event took place in November at the Westin Rancho Mirage – the sunny California setting was an ideal meeting place to gather over 200 diverse AEC women from across the country. We were amongst the selected speakers, humbled by the opportunity to share our Girl UNinterrupted research and grateful to learn from all participants. For us, the conference’s key themes were centered around the concepts of glass ceiling-breaking and bonding. Over 200 diverse AEC women from across the country gathered for the Women in Design + Construction Building Together” conference. When it comes to breaking the glass ceiling, Nancy Novak and Pat Dziuk, founders of Above Glass Ceilings, emphasized the essential need for diverse teams. From a business perspective, a diverse team leads to higher profits because of creative-thinking that considers broader issues, the speakers asserted. They stressed the importance of advocating for one another, celebrating our differences, and amplifying our coworkers’ potentials. Nancy Novak and Pat Dziuk, founders of Above Glass Ceilings, emphasized the essential need for diverse design teams. It is important to address everyone’s issues because equity only happens with a two-sided conversation. 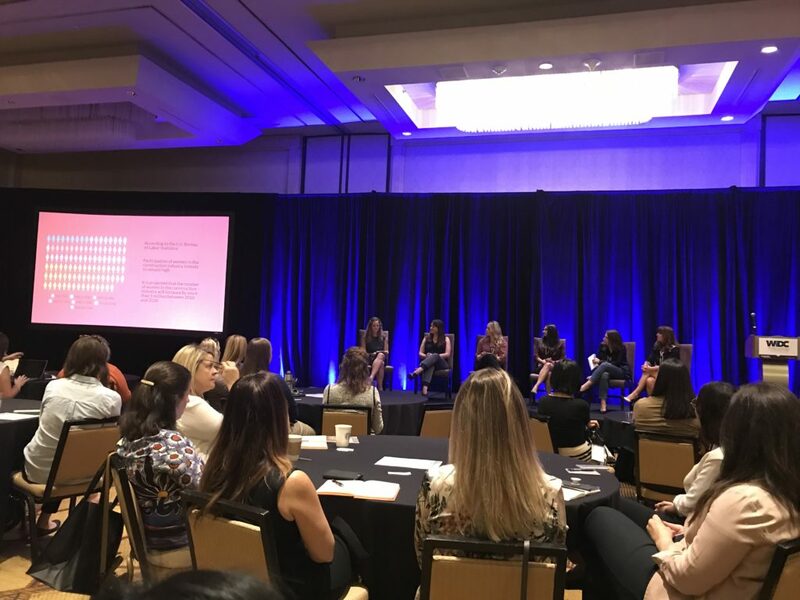 Julie Hyson, senior VP of project and development services at JLL, and Angeline Gleason, MEP preconstruction director at McCarthy Building Companies, added that it is key to bring women into leadership positions, as they are by nature, inclusive team-players. The panelists also spoke about the advantages of working with millennials as they offer fresh perspectives and see equity as an obvious benefit. 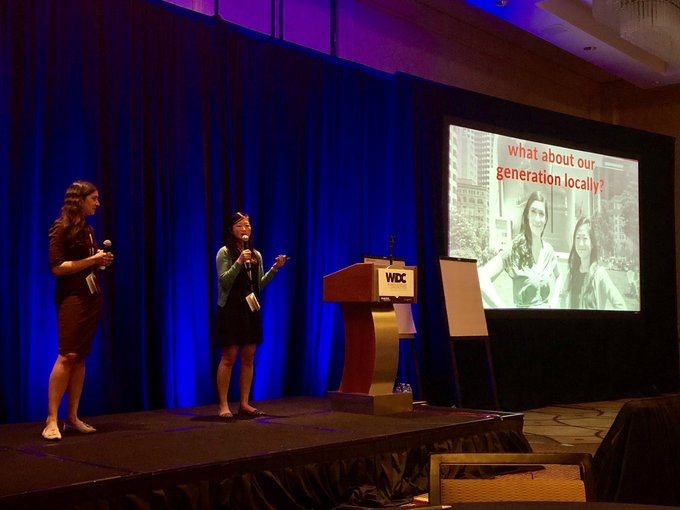 Juliet Chun and Zhanina Boyadzhieva, co-Founders of Girl UNinterrupted Project, were invited to present at WID+C. We also had the opportunity to share data on equity from our Boston research including an emerging professionals (EPs) survey and a conversation series Girl UNinterrupted initiated with top leaders in the field. After sharing some of the typical data from salary (yes, there is a gender gap in pay) to negotiation (women do negotiate! ), we also shared more eye-opening data Girl UNinterrupted gathered from EPs. We presented our survey data which illustrated that EPs feel comfortable asking questions, but not initiating ideas, there’s a lack of information and transparency in office policies including big topics like parental leave, and everyone feels guilty about taking time off. The conversation series also showcased the strong and vulnerable voices from female Boston role models. While the data Girl UNinterrupted collected stemmed from the Boston architectural community, it was clear after our presentation that the entire AEC community faced these issues. The importance of equity in design was a central topic discussed by a panel of six women, all of whom hold leadership positions at large construction and development firms. Numerous practical tips were. also freely exchanged. Amy Gilberston, principal at Trivers, led a session on “Becoming an Expert: A Step by Step Guide.” Here, she outlined her strategy for career growth: first, identify interests; then, build one’s network; next, practice speaking and test ideas; then, be seen; and lastly, critically evaluate results. Meanwhile Sarah Wortman, director of business development at GGLO Design, taught us that to communicate effectively with the C-suite, one must evaluate personal expectations and translate those into managerial benefits. Finally, Tricia Esser, CEO of KTGY Architecture + Planning, shared how to transform common fears and vulnerability into personal commitments for success. Both group laughter and deep insight followed an interactive series of workshops. After explaining that it only takes seven seconds to make a first impression, keynote speaker Sylvie di Gusto, founder of Executive Image Consulting, asked conference attendees to walk around and give their first impression of other members in the room. The exercise was revelatory for many, and made us reflect on our presence, body language, communication and digital footprint, with the latter having the most impact in today’s culture. WID+C keynote speaker Sylvie di Gusto, founder of Executive Image Consulting. 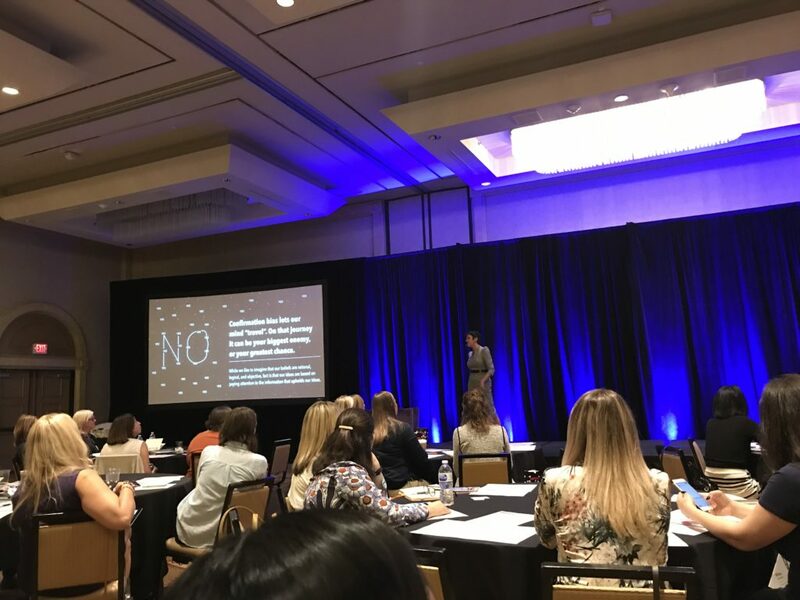 Finally, Abigail Clary, principal director of health practices at Cannon Design, inspired the audience by presenting several case studies of unique leaders that had both masculine and feminine character traits. After listening to stories from Louise Blanchard Bethune, considered the first American female architect, and Wes Moore, CEO of Robin Hood, we learned that to be a successful leader, one must have both feminine and masculine traits, a mix of empathy, ambition, patience, and confidence. We were left with a quote by Moore, “Be in charge of something regardless of how small that is; that sense of purpose means something, and that sense of belonging then begins to grow,” showing that more important than gender character traits is searching out something important to you and finding your voice to reach those goals. Overall, what made the WID+C conference unique and special were the opportunities for genuine bonding. Dinners, cocktail hours, a peer mentorship lunch and ice cream breaks brought opportunities for attendees to mingle and chat on a wide range of subjects. Frankly, some of the most memorable moments of the conference were the sincere and exploratory conversations we had with each other. Shared stories ranged from vulnerable work situations to lessons learned on team and family management. We also swapped advice on everything from issues at work to tips on comfortable, but chic shoes, and tasty local cocktails. 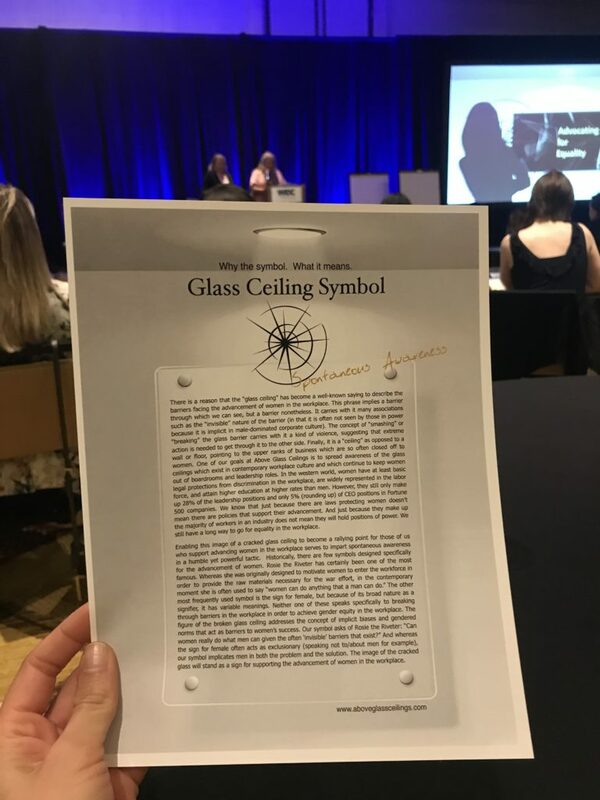 Glass ceiling-breaking and bonding were key themes from the Women in Design + Construction Conference. We were thrilled to be able to tell our stories and present our research, but even more so, we were honored to be part of this fabulous group of women, to tell stories, laugh at ourselves, and let down our guard. It was an opportunity for everyone to be honest with each other and ourselves, to examine our own strengths and weaknesses, and to understand that the issues that you face are the same ones that impact everyone. In this setting, we were invited to be our professional, ambitious and fun selves, making participating in the WID+C conference one of the highlights of the year for Girl UNinterrupted. Check out this insightful series of conversations with leaders in design, produced by Girl UNinterrupted, by clicking here.